Neil Billingham mailed me because he had spotted that I have some new thermostat housings for sale. They are for the Opel Manta A series (Ascona A series too) which unfortunately would not suit the later series of cars such as his. Neil had been suffering from water leaks that couldn't be sealed, this is not something that I have experienced, but it did sound like the aluminium had warped under excess heat. ... You might try is to place some rough grade production/emery/wet'n'dry paper on the flattest surface you can find, this is probably the kitchen counter top, which you may get away with depending upon your current partnership status. Then run the offending flange against the paper to level it off, because the ally is so soft, this can be surprisingly effective! Something like 80-120 grade should do the trick. 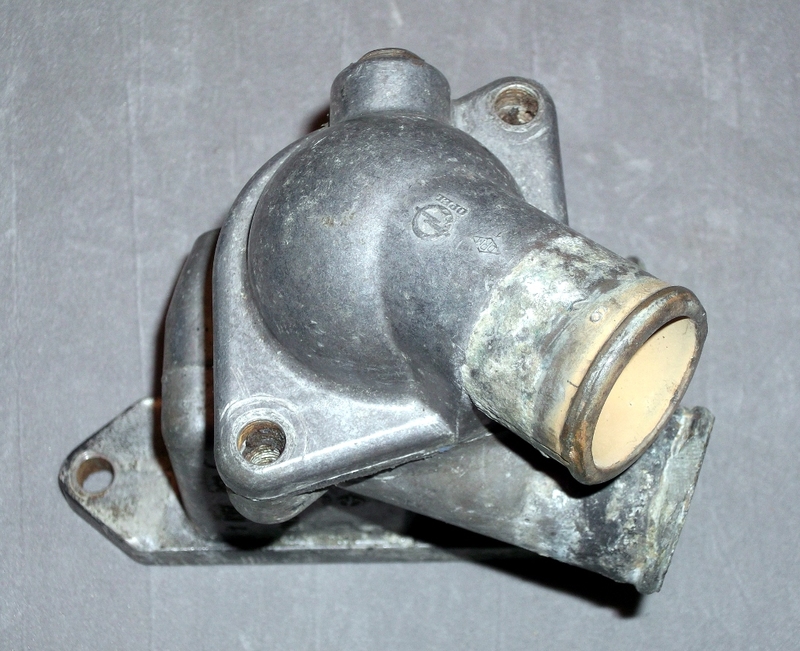 After some further trawling through various oddments boxes, I found a good used example of the thermostat housing off the late Opel Manta B series, we double checked part numbers and they matched. This item was sent off a couple of days later and there has been no further news, which I assume bodes well for Neil's nasty leaks.